Guru Nanak Dev has a unique place amongst the religious prophets of the world. His teachings have a universal appeal and they hold good for all ages. He has deeply influenced the lives, thinking and conduct of a large number of people. In order to enlighten humanity as a whole, he delivered his message of love. peace, devotion, social justice, religious tolerance and universal brotherhood to mankind. On the 538th birth anniversary of the Great Master, the Guru Nanak Dev University, founded nearly four decade ago in his name is celebrating the occasion by publishing the monograph Guru Nanak  A Prophet with a Difference. The author, S. Kharak singh is a very well known scholar in the field of Sikh Studies and needs no introduction. 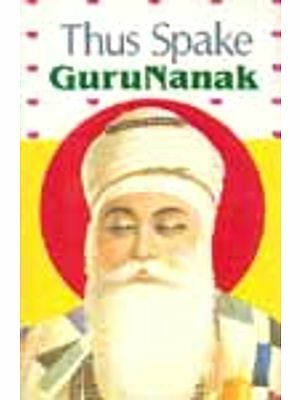 This book in the form of biography of Guru Nanak is meant for students and general readers. It is primarily aimed at disseminating the message of Guru Nanak to one and all, besides presenting an authentic and historical account of his biography. It highlights Guru Nanak's life and times, his experiences at Sultanpur, his missionary tours (Udasis) and finally his stay at Kartarpur on the banks of river Ravi. Significantly, the bani of Guru Nanak as recorded in the Guru Granth Sahib, his ideology and its relevance to the present times is what makes the Guru a prophet with a difference. I hope this monograph will enlighten everyone, especial our young readers and inspire them to be good human beings the true spirit of the teachings of the Great Gurus.